We all dream of the thick, full locks we see on shampoo adverts. And nine times out of ten, those locks are on an adult model – but all that’s changing thanks to a new recruit on the modelling circuit: One-year-old baby Chanco. Last summer, Chanco became a social media sensation, all thanks to her hair. The then seven-month-old went viral after her mother shared pictures showing Chanco’s full head of glossy black locks, with her Instagram account racking up more than 340,000 followers. 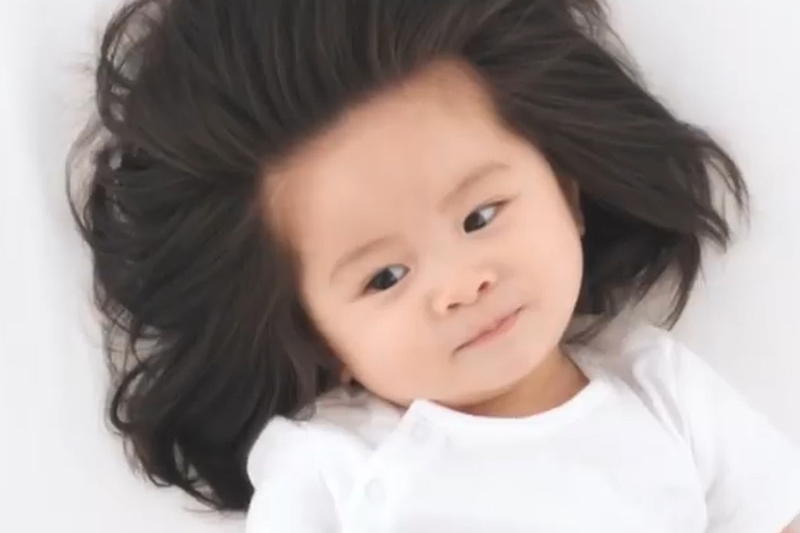 Now aged one, Chanco has been unveiled by Pantene Japan as the star of its latest ad campaign. But don’t worry, this isn’t about selling products for babies’ hair – the #HairWeGo campaign actually has a very sweet message. In it, Chanco stars alongside Sato Kondo, a Japanese TV presenter who is known for her grey hair. ‘The Hair Story’ video tells the tale of how Chanco gained lots of attention online because of her impressive tresses – not all of it positive. Fans are thrilled about the adorable tot’s new starring role. “The BEST brand ambassador for Pantene! Cutest baby with the best. hair. ever!” commented Instagram user Pinky.1995. “At 35, still waiting for my hair to come in like that #hairgoals,” wrote Cookiebear315. Want to see more of those luscious locks? Here’s the full English version of the Hair Story video.